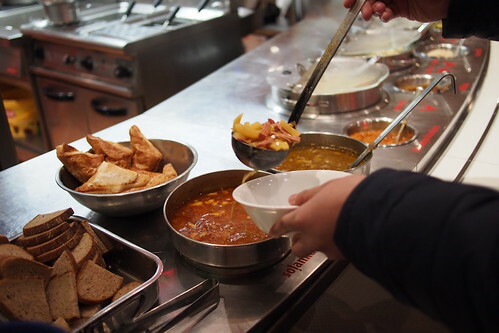 Locavore, self-sustaining, free-range, and even…organic, might be some adjectives used of Mongolian cuisine if these historical nomads were minded to describe their food in terms understood by the Western city folk. But the vegetarians, vegans, pescetarians, and other plant-based diet fans for whom these labels are gold would be sorely let-down. 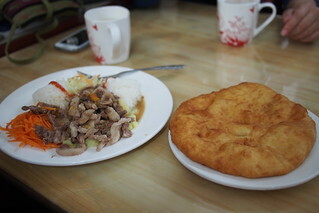 Mongolian cuisine consists mostly of meat (with very little seasoning), animal fat, and salty milk (tea). 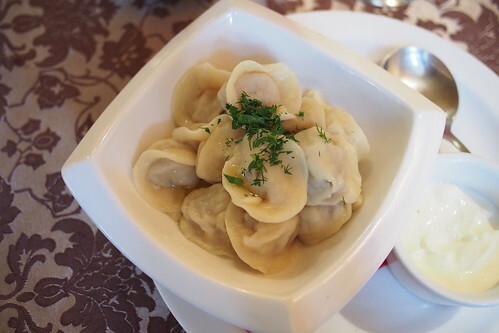 Бууз (buuz) in oil-slicked soup. 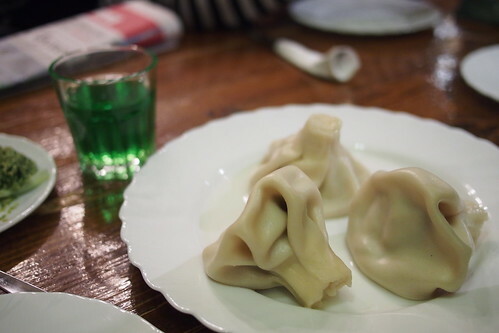 More Бууз (buuz – Mongolian dumplings) and сүүтэй цай (süütei tsai – Mongolian salty milk tea). 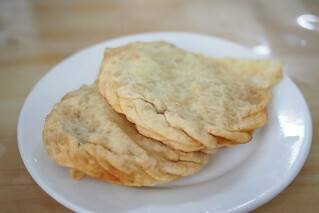 хуушууp (khuushuur) which is basically buuz flattened and deep fried. Yum. 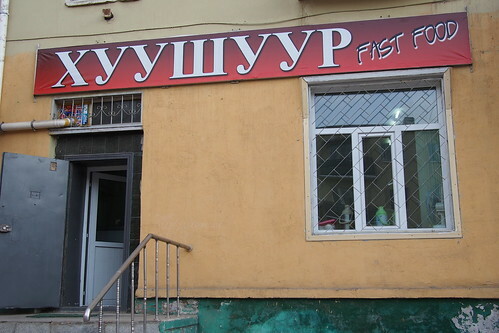 We ended up at this shop because Mongolian friends were reminiscing about the Naadam Festival and how the area around the competitions would be full of people frying and selling khuushuur. 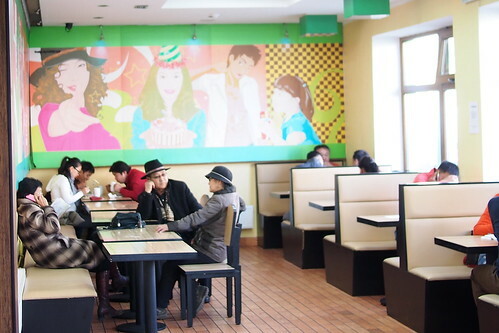 Many tourists complain about the food in Mongolia. “Just mutton and more mutton and animal fat,” they grumble. 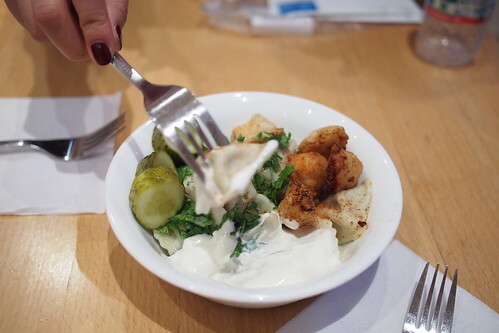 Should there be a universal standard for taste, or even, what might be considered healthy? How many foodie magazines consider the environment from which different cuisines emerge? How many “scientific” studies consider the impact of environment on the nutrients and calories needed by a person living in that different situation? 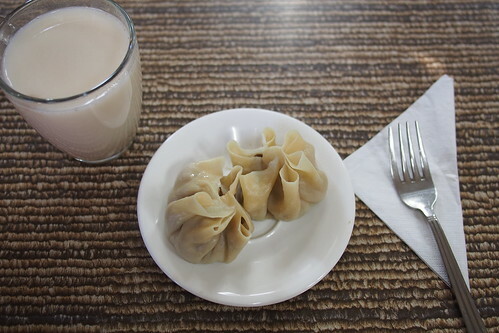 The sub-zero temperatures of Mongolia make eating mutton and drinking salty milk tea a great pleasure (and even, a necessity), especially when one is not being driven around in a vehicle with more than adequate heating. Much more so for the nomads cattle-herding on the steppes outside the cities. For this reason, they were leary of vegetables and fruits, seeing them as pernacious attempts by the Chinese to weaken their constitution. 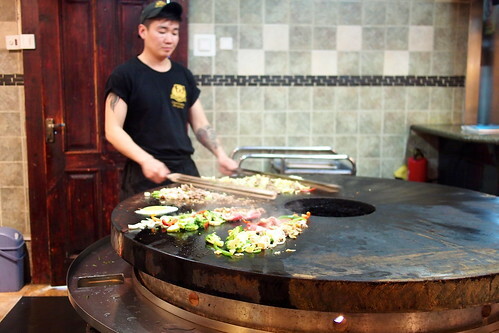 Oh and by the way, Mongolian barbecues? 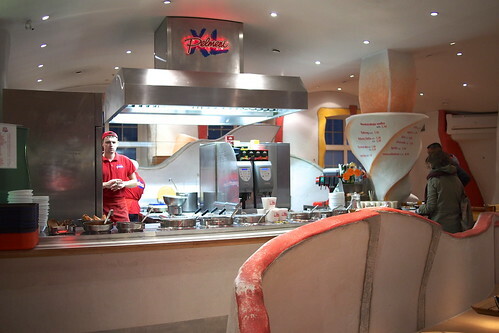 Not Mongolian. They were popularised in Taiwan in the 1970s and then exported to America, then re-exported (or imported?) 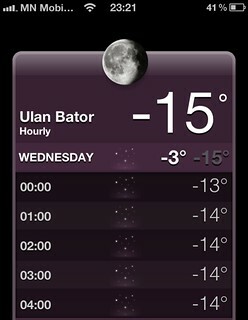 to Mongolia! The fable put about was that Mongolian soldiers would gather large quantities of meats and prepare them with their swords on their upturned shields over a large fire. 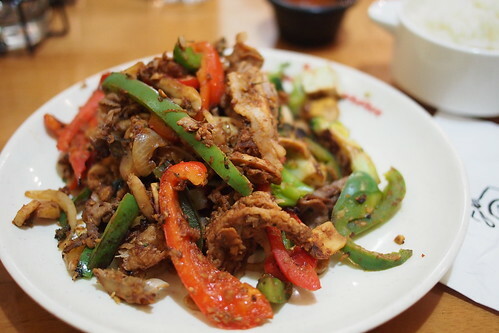 It cost 5 times as much as a meal in an ordinary Mongolian eatery. The meat was overcooked and, because I did not want to pay for the buffet, not enough for the amount of trekking I was doing. Boo. In the 6 a.m. darkness, I was the only one emerging from the coal-smoked cocoon that had been home for the last 5 days. 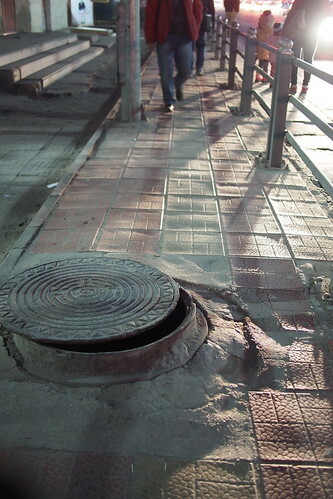 “慢慢走! (be careful! 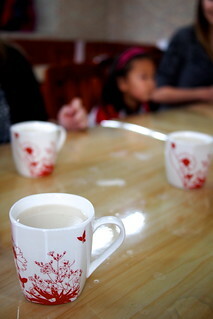 )”, said the Chinese train attendants as they helped me off the carriage. They’d become properly motherly as the days had gone by, always looking out for me. On long train stops, I could feel their eye on me as they smoked cigarettes on the platform, while I went exploring. Also, they did not trust the Mongolians – “危险! (danger)”. “谢谢你照顾我. (Thank you for taking care of me)” I replied. On the platform, hotel touts who had been waiting for the arrival of the train swarmed up in busy expectation. But as they scanned the length of the platform, it became apparent that there was only one potential in sight and that person had a hostel booked, I had to keep repeating. 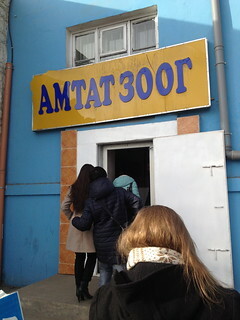 But they did speak English quite fluently so as I waited to be picked up from Улаанбаатар өртөө (woohoo, Cyrillic still useful here! 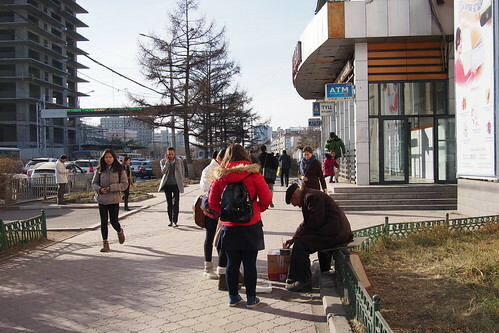 )(Ulaanbaatar Station), we chatted. Many were in family businesses catering to tourists – they didn’t like waking up so early, but someone had to do it (“we have hostel in city center, you want to go now?”). 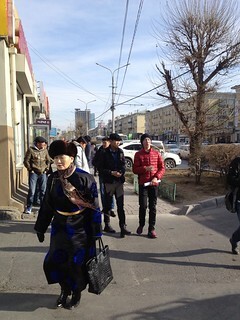 Oh loads of things to see in UB but best to go outside (“we have car to national park, you take this brochure?”). 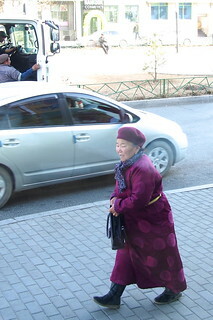 At the arrival of my driver (the husband of the lady running the hostel), they scattered with a smile and a wave. 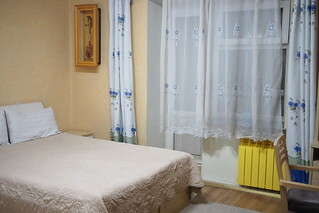 The private room in the hostel was basic and clean. Like many similar establishments, it was in an anonymous apartment block and could only be accessed from the sandy parking lot in the back, where there was little in the way of signage to identify the place. In the morning light, a stroll through the city revealed something of a frontier town: basic roads and pavements, shiny new buildings beside shacks or older Communist era blocks, towers left to the elements after construction money ran out, uncovered potholes, too many new cars for the roads, nothing much in the way of greenery but a bit of scrubby grass, and everything covered with a fine dusting of sand. 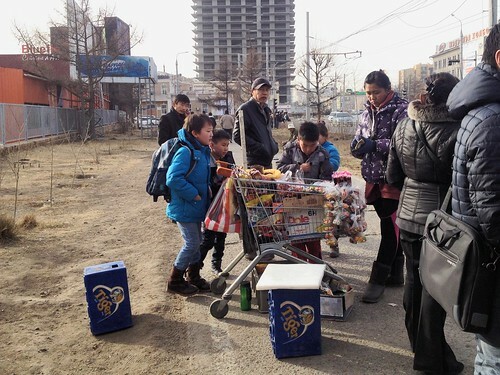 There were snacks sold to school-children from repurposed (or stolen) supermarket trolleys, and an old couple sitting outside the post-office waiting for people to rent their weighing machine. 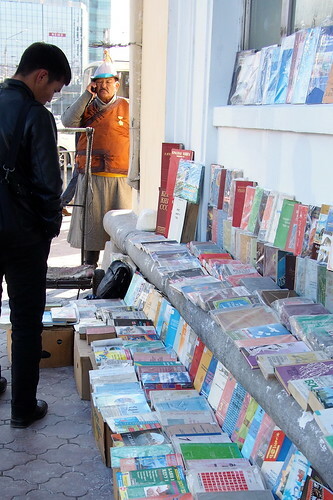 Around the corner from them, a man was selling secondhand books by the road. I loved the incongruity of the deel and the mobile phone. There were quite a few other deel-wearers about town, looking very warm and comfortable, and some fashion magazines might say, stylish. 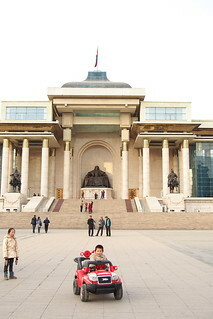 And just across the street, in front of the gianormous Genghis Khan memorial (Chinggis Khan apparently, not Genghis), electric toy vehicles, padded with fur, were hired to speed-demon kids. Here, the postcard touts operated. Wanting to support one who claimed to be the artist of several watercolours, I selected a few with Mongolian-ised nativity scenes of three camel-riding men approaching yurts lit by large stars. 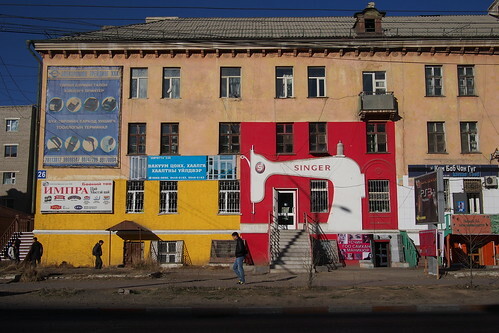 The history of Christianity in Mongolia is interesting. The first Christian-like religion to hit the big time was Nestorianism in the 7th century. Under Chinggis Khan (Temüjin), in the 13th century, Nestorianism was tolerated alongside other religions and some of the khans even had influential Nestorian wives. Historians have concluded that the Mongolian empire was remarkably welcoming of foreign influences and beliefs, encouraging trade and commerce, putting currency (backed by precious metals) into common use, and facilitated international cultural exchange. Temüjin’s grandson, Mongke, even invited Christians (Nestorians? Orthrodox Christians? ), Buddhists and Muslims to debate the merits of their faiths before him. Since the end of communist rule in 1990, Protestant Christianity has been on the rise. I ended up at one such church on Sunday. After Bible study, we all went out together for lunch. Enter your email address to travel with this pilgrim and receive notifications of new posts by pigeon.